Ohaus EC Compact Bench Counting Scale 3000g x 0.1g. Designed for use in basic counting applications. The Ohaus EC Series Counting Scales are economical and designed for fast, accurate operation. 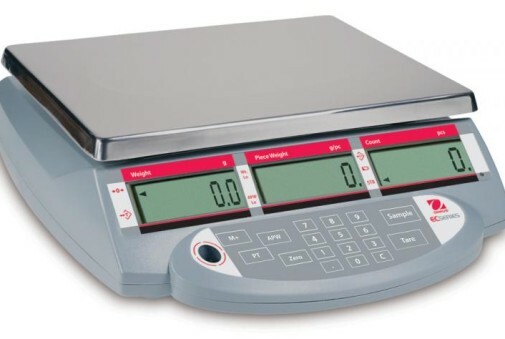 Ideally suited for annual inventories, parts rooms, rentals and other counting applications, with an internal counting resolution of 1:600000, Ohaus EC Counting Scales offer accuracy, durability and portability in one practical design. Featuring easy-to-use 7 function and 11 numeric membrane keys with intuitive man-machine interface, large triple-window 7-segment 6-digit weight, 6-digit data (APW) and 6-digit count 0.75″ high LCD with backlit, multiple weighing units and three application modes.